Posted on 08/01/2016 by Mickey McCarter	in Around Town, Live Review and tagged Ampersand Stringband, Biscuit Jam, Brian Farrow, Jahnel Daliya, Jonny Grave, Justin Trawick, Mason Dixie Biscuit Co., Oh He Dead, The Bumper Jacksons. Hey there’s a great way to spend your day this Saturday that involves eating biscuits, listening to music, and generally just having a great time. Go to Biscuit Jam, presented by the Mason Dixie Biscuit Co., in Ivy City for all of this and more! Mason Dixie is throwing the big biscuit bash to celebrate its second year, and you are invited! One Love Massive will present live graffiti, 3-D expositions, and art installations. Food providers other than Mason Dixie include Amavi Sweets, Arepa Zone, Black Pearl Tarts, BBQ Bus, The Big Cheese Truc, Capitol Kettle Corn, Capital Candy Jar, Confluence Coffee, DC Brau, Dorpare Tea, Gouter, Ivy City Smokehouse, Krave Jerky, Milk Cult, Momme Meals, PinUp Preserves, Popcorn Queens, Red Hook Lobster Pound, Singer’s Significant Meats, Southern Efficiency, The Ugly Mug, and more. Mason Dixie Biscuit Co. specializes in made-to-order gourmet biscuit sandwiches, platters, and spreads. Founded in 2014, the Kickstarter-funded and Launch Pad winning company has since been operating with much acclaim out of pop-ups around the city, through app-based delivery services UberEATS and Caviar, and a location at Union Market. 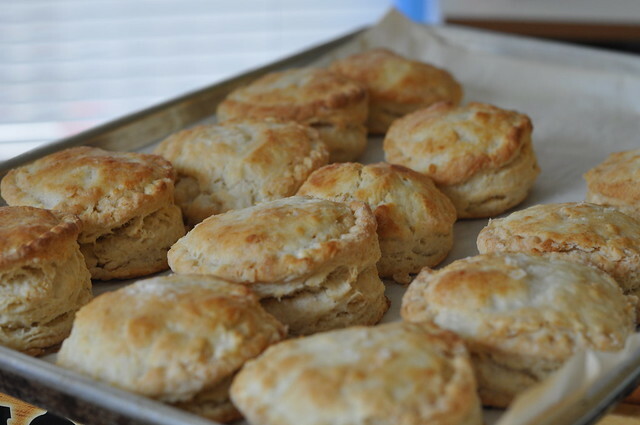 The brand recently released their signature line of ready-to-bake biscuits across Whole Foods Markets Mid-Atlantic, as well as local groceries across the DC metro area. Biscuit Jam is sponsored by The Washington Blade, DC Brau Brewing Co., Lyft, Coldwell Banker and Thomas Burns Realtor, and Bicycle Space. Tickets are available online! Packages include general admission, beer and wine tickets, and an open bar VIP package experience.